In Oakland, a city on the San Francisco Bay, a sociological experiment has begun that seems to have arrived straight from the future. One hundred people have been selected to receive a basic income for five years. The goal: to see how we can live —if we can live— without work. The reason for this has to do with long-term preparation. The current worst-case predictions warn that robots will be able to do everything that people now do in a faster, more effective and cheaper way. In an environment of total uncertainty, we do know some of the human things that robots can already do. “Hello, human! 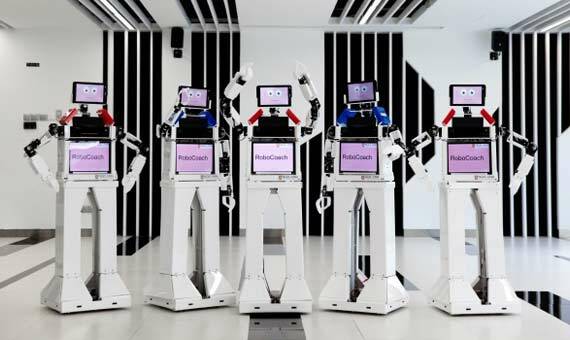 My name is Tico, and you?” The robot offering that greeting is white, shiny and more than one metre tall. Created by a Spanish company, Adele Feeling Robots, Tico certainly has things clear: its favourite soccer team is Sporting de Gijón, what it likes to do most is “talk to humans, because they are emotional” and its pending task is to “make fabada” (Spanish bean stew). This conversation is part of its job. It is a robot designed for welcoming and for accompaniment. It knows how to greet those who are not of its species in eight languages ​​and to give instructions, schedules or directions. 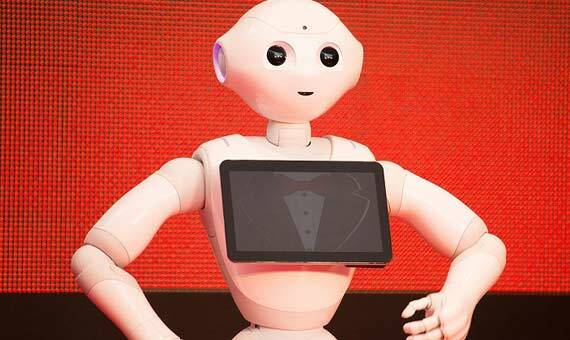 Its job is very similar to that of Pepper, who is perhaps the most famous greeting robot of the moment —among some of its latest achievements is interpreting Beethoven’s ‘Ninth Symphony’. “There’s a robot at the door waiting for you.” With this message last December, Simone, an inhabitant of the Greenwich district in London, became the first person to receive a package at home from the “hands” of a robot. These devices, which have already been tested in some 60 cities, are designed to deliver food to homes or books to libraries. 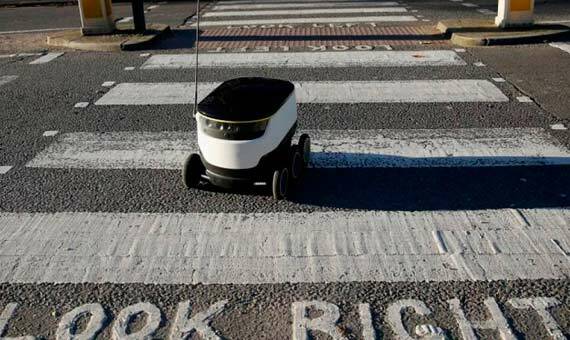 They are equipped with virtually the same technologies as driverless cars (cameras, sensors and GPS) to be able to move through the streets. In the case of another new delivery robot, Spot, its dog shape allows it to also go up and down stairs. Amazon, in addition to its deliveries with drones —devices also considered by the European Union as robots— has already begun to use robots in its warehouses to transport packages. They can work round the clock, walk 12 kilometres a day and have reduced delivery times by 30 minutes. In a residence on the outskirts of central Singapore, about twenty elderly people move to the rhythm of the music and the instructions of their monitor. “Now, right arm up!” The monitor leading the class with determination is Robocoach, a full-sized robot with a big smiley face. It is already operating in about twenty centres and was created by a group of students from the Ngee, the Polytechnic University of Singapore, with one mission: to combat the physical deterioration of the elderly. For childcare, researchers are also developing a large number of intelligent machines, ranging from storytelling robots like Zenbo, from the Taiwanese brand Asus, to Kibo, the device that MIT wants to use to help children with their homework. In addition, these machines have opened up new possibilities in the care of children with ASD (autism spectrum disorder). Their direct language and simple and easily segregated behaviour patterns have been shown to facilitate interaction with children. Machine once again defeats man. That was the feeling left by the algorithm Alpha Go after sweeping the European champion five-zero in the very difficult Chinese game of Go. The situation seemed like a déjà vu of two decades ago, when in 1996 the computer Deep Blue took down celebrated chess master Gary Kaspárov on his board. The game Go is much more complicated than chess and its variables are virtually infinite, so it requires intuition, something that was thought that machines could not develop. But they did. 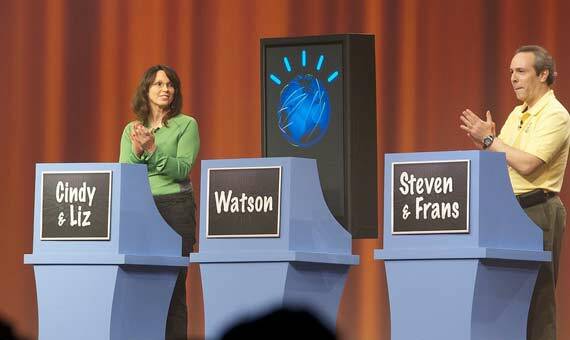 A similar revelation occurred when IBM’s Watson computer beat two contestants in the famous American program Jeopardy. Watson, in addition to being faster, had to learn double meanings and puns. What is more, these robots are not limited exclusively to mental competitions, but have also been used in other more physical ones —and successfully. A robot has already managed to beat a group of Swiss students at table football, surpassing them in reflexes, speed and ball hitting power. In the year 2000, the first of the robot surgeons was named, with great success, Da Vinci. 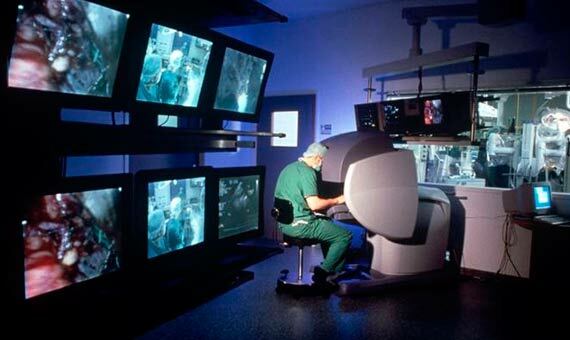 This robotic system became the arms and eyes of the real physician. It allowed him to perform complicated operations at a distance and to have specialized surgeons who were located thousands of kilometres from the hospital where the patient was. With its four arms, Da Vinci carried out operations ranging from transplants to sectioning bones. Despite the benefits, there was one big drawback: this robot was not really a robot, since it had to be strictly handled by a human. In 2016, the achievements of the Smart-Tissue Autonomous Robot, or STAR, were announced. Designed by experts from the Sheikh Zayed Institute for Innovation in Paediatric Surgery at Washington DC, it surpassed surgeons with nearly a decade of suturing experience. What is more, compared to Da Vinci, STAR is intelligent. The device is autonomous, meaning that it operates without human intervention. Surgeons schedule the operation and supervise it. What are its tricks? The robot has 3D vision, uses infrared light and relies on a suture algorithm programmed with the most recognized surgical techniques and with everything that physics knows about organic tissues. 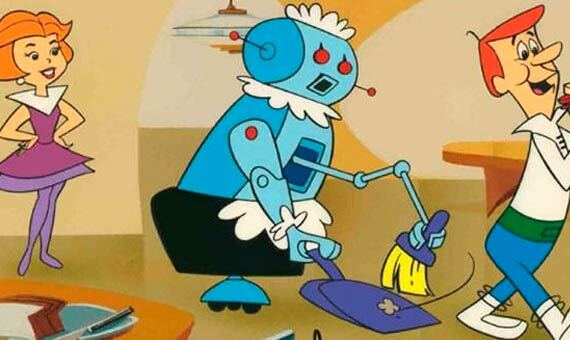 The idea of ​​having a robotic butler who takes care of the household chores has always been attractive to humans. However, the great cost and difficulty of creating a single device that can handle such varied tasks has forced a change of perspective. So why not have one robot for each function? Public demand for these types of devices was born with Roomba, the ‘intelligent’ vacuum cleaner that detects, thanks to its sensors, the areas for cleaning. After that, robotic lawnmowers appeared, with daily schedules and programmable zones, then barbecue-grill cleaning robots, an invention designed for this typically American hobby. More devices have also emerged for cleaning tables and windows. For the latter, Chinese industry is making a big development effort. When thinking about robots, we usually think of a smiling device with a certain human appearance. But the truth is that any automatic programmable machine that can perform certain tasks autonomously is considered a robot. This definition would include, without a doubt, driverless cars that are able to make autonomous decisions after analysing millions of data collected with cameras and sensors. A recent report approved by the European Parliament on the regulation of robots affirmed that driverless vehicles are one of the most urgent subjects. Although we are not expected to see completely autonomous vehicles on our roads by 2020, companies like Tesla and BMW are already testing some units with autopilot. Most road accidents are caused by human error. 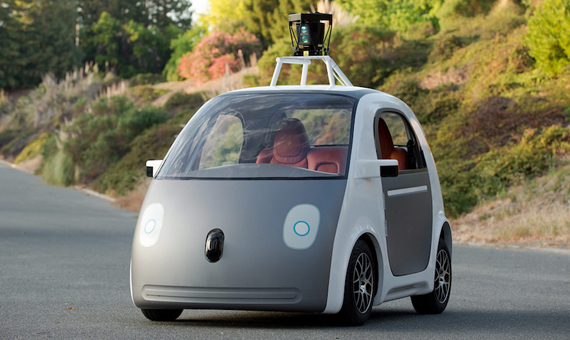 These new robots not only know how to drive, but they will do so better than us.